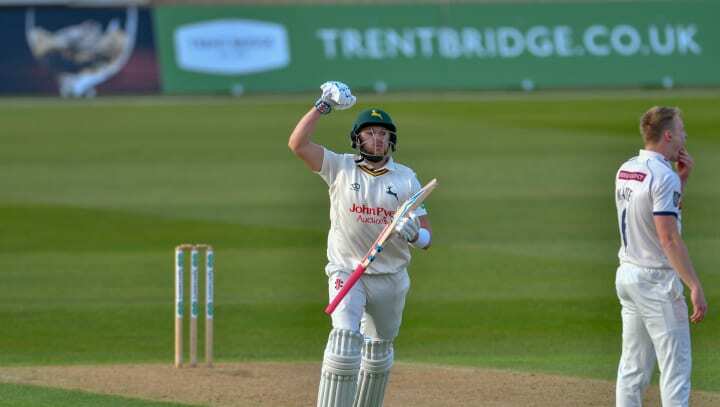 The 22-year old scored an unbeaten 177 for his former club at Trent Bridge last year and once again enjoyed the Nottingham air, delivering an innings of high quality, having faced 181 balls and hit 17 fours. Ben Duckett opened the batting alongside Slater, and looked in sparkling touch before picking out out long leg off Patterson for 43. Samit Patel made 11 before driving Patterson into the hands of Harry Brook at point, leaving the hosts on 249 for five, but Clarke offered the bowlers no encouragement as he crowned his home debut with 50 from 105 balls.